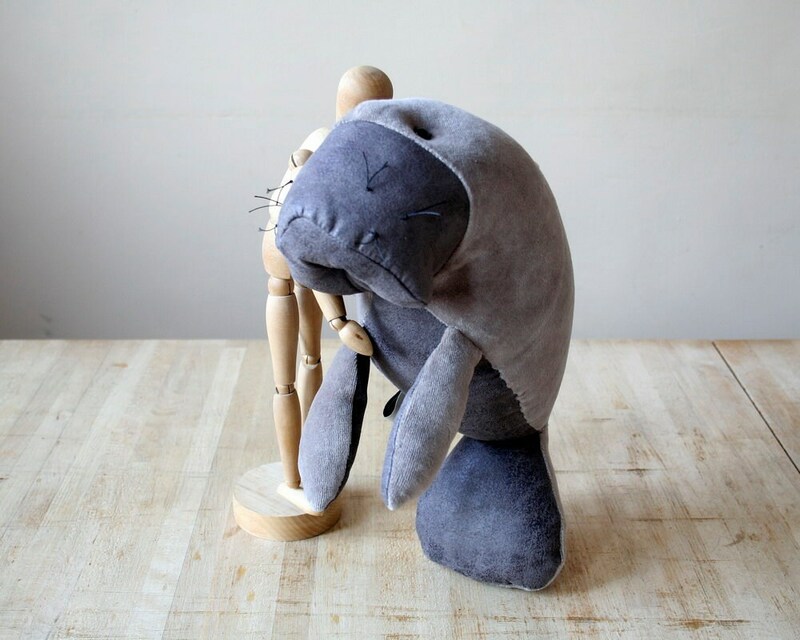 This soft grey Manatee is the new member of my sea creature series. He is soft and cuddly, very cute sleeping fellow. 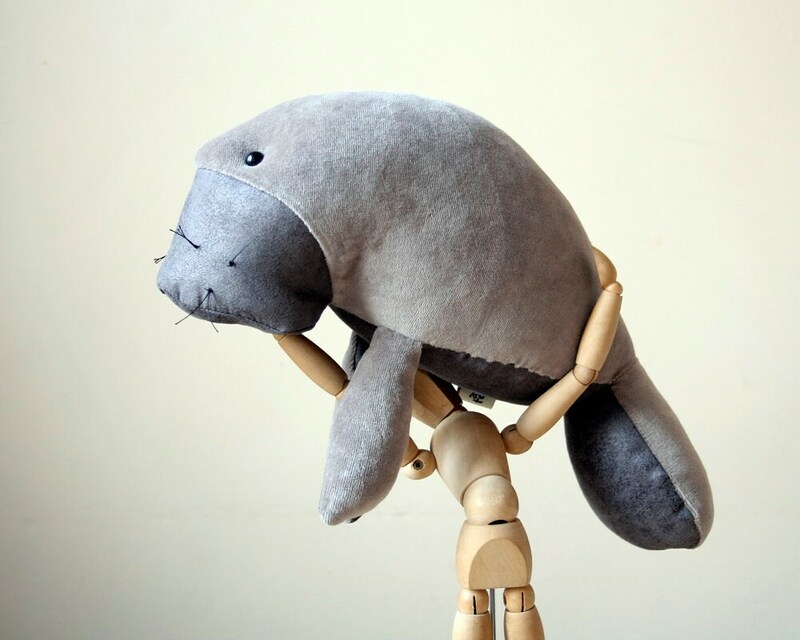 The manatee is made of grey plush (back) and leatherette (belly and face). The plush material is Oeko Tex 100 Standard certified. 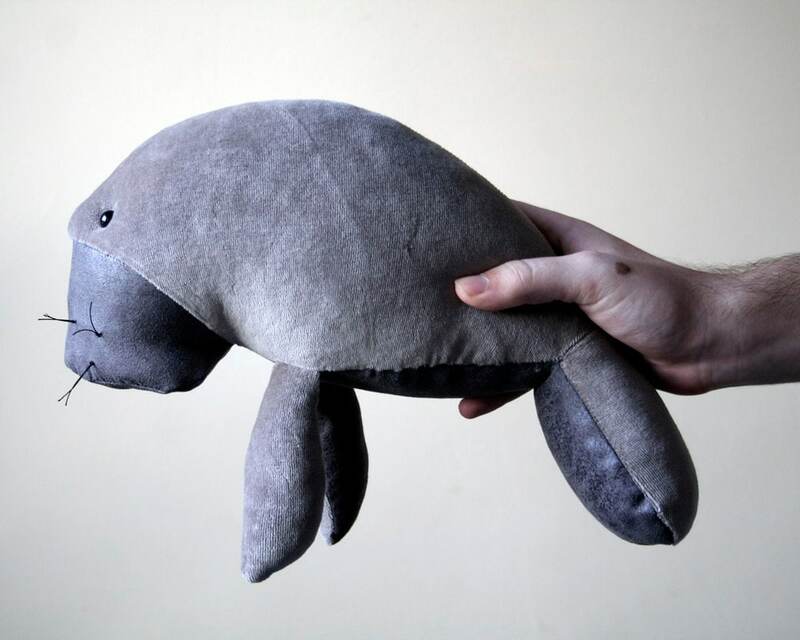 Stuffed with high quality siliconized polyfill. Eyes are buttons therefore he is not suitable for little children. Adorable! Really well made, made an excellent gift. Thank you! 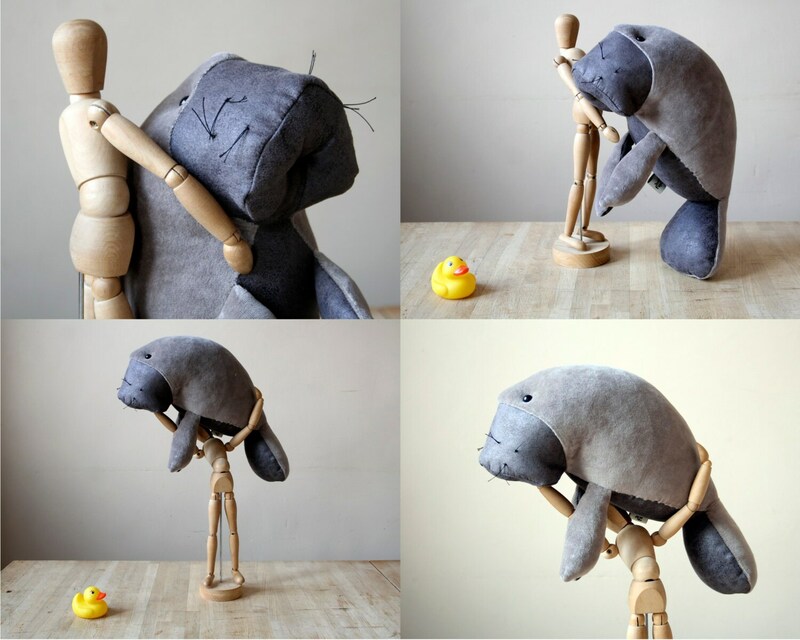 A beautiful soft sweet manatee very well made. Thank you. Amazing piece of handcraft, good materials and very well done. Worth it. 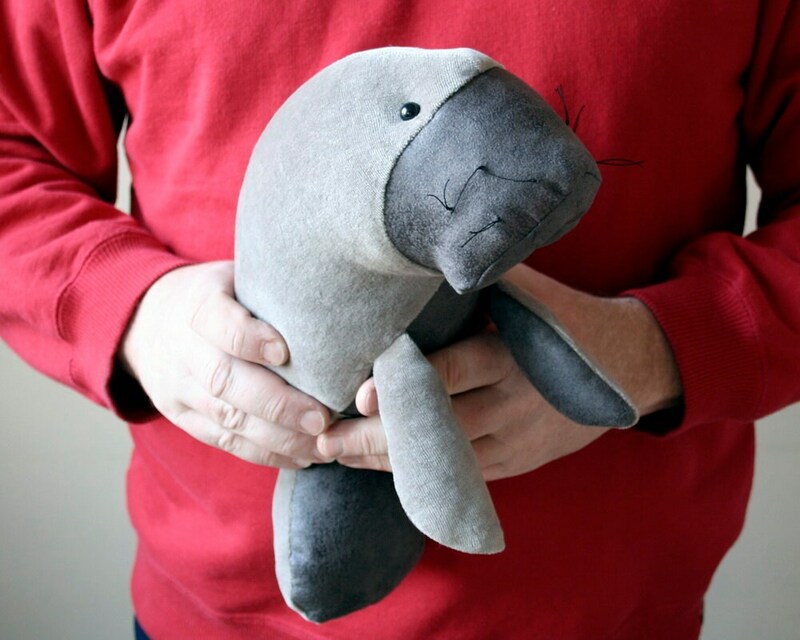 Adorable little manatee--I love him!